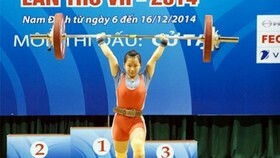 The first Vovinam (Vietnamese martial art) Viet Vo Dao Grand Prix was held successfully in Algeria on May 4-5. 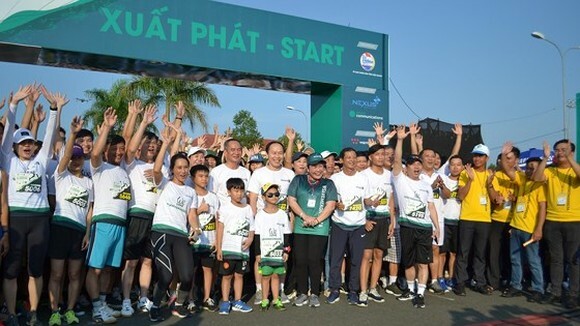 The event was sponsored by the Vietnamese Embassy and Vovinam Viet Vo Dao Federation in Algeria. 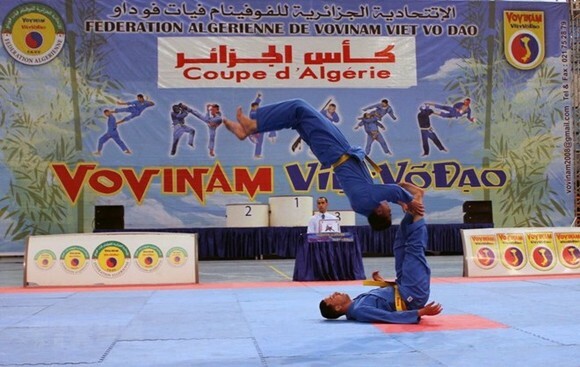 It attracted a large number of martial artists from Vovinam clubs in Algiers city and neighbouring provinces. Thousands of spectators were present at the competition to cheer up the martial artists. 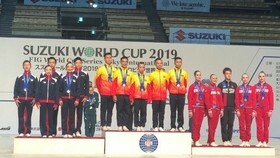 Addressing the award ceremony at the end of the event, Vietnamese Ambassador to Algeria Pham Quoc Tru encouraged martial artists to increase teaching and learning of this sport to spur the development of Vovinam Viet Vo Dao in Algeria as well as promote the relations between the two countries. Introduced to Algeria in the 1970s, Vovinam has become popular and is now being practised by over 20,000 people across the African country. Vovinam Viet Vo Dao was founded by Nguyen Loc (1912-1960) in 1936 but developed in 1938 with a view to providing practitioners with an efficient method of self-defence after a short period of study. Vovinam is practiced with and without weapons. It is based on the principle of combining between ‘hard’ and ‘soft’. It is not only about the training of the body but also of the mind. Vovinam has to date been practiced in more than 60 countries and territories, with millions of learners from thousands of Vovinam clubs. 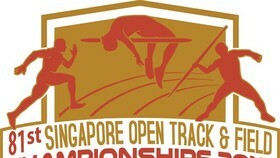 The sport was included in the 27th SEA Games in Myanmar in 2013 and the fifth Asian Beach Games in Da Nang city in 2016. It will be an official sport at the upcoming ASEAN University Games in Myanmar in December 2018.